It's not every day that you bump into a Grammy winner. But the NAMM show is the kind of place where it can happen. Terry Howard worked with Ray Charles for many years and not only won Grammy Awards but also became a close personal friend of the Soul legend. 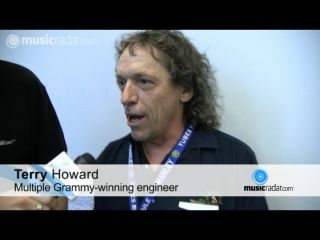 In this video interview, Howard tells us about the gear he's been checking out at NAMM 2010 and shares some tips for aspiring producers and musicians.